On Thursday, former Republican presidential candidate Jeb Bush spoke about the state of the GOP race to CNN. Specifically, Bush alluded to support for a brokered convention come July. "There's a possibility that he won't get 50 percent on the first ballot," Bush told CNN's Jamie Gangel in an interview that will air later Thursday night. "And if he doesn't do that, there are a whole lot of people who don't believe he's the proper guy." The former governor of Florida has largely kept a low-profile since his failed Jeb! campaign to the White House. Bush has publicly endorsed Ted Cruz — and he's made a point of saying he really doesn't want to vote for front-runner Donald Trump. While Bush didn't declare outright that he wouldn't vote for Trump in the general election if he is the Republican nominee, when pressed he said, "I'm hopeful he won't be." Bush was willing to be clear that he wouldn't vote for Hillary Clinton. 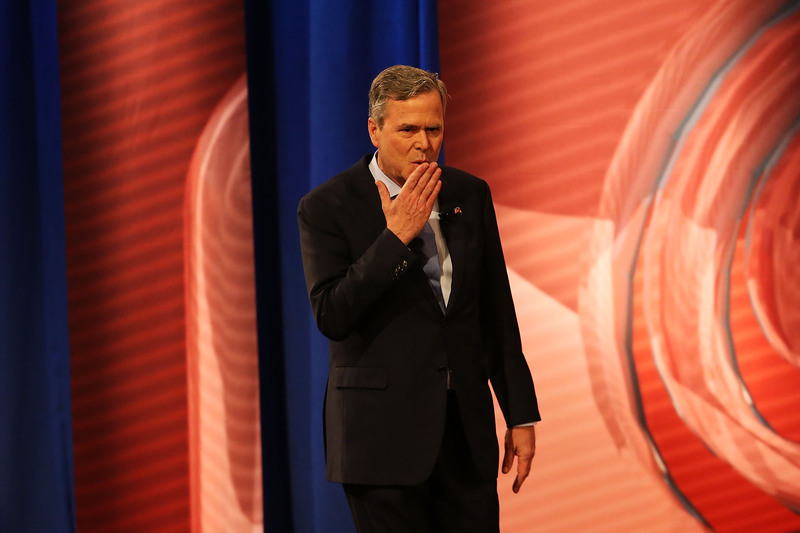 Bush spoke wistfully about his 2016 presidential run, telling Gangel: "This was my chance. This was the chance and I ran into a storm." However, he also didn't sound like he's busy ruminating or beating himself up, either. "I've concluded that whatever mistakes I made — and I certainly made them — probably wouldn't have changed the outcome. Because I'm not going to change who I am ... It gives me some comfort."